Age at Parkinson disease onset is independently associated with the performance of executive functions. In patients with Parkinson disease (PD), age at disease onset is independently associated with the severity of executive dysfunctions, with executive deficits and behavioral changes common in the early stages, according to results published in the Journal of Affective Disorders. In a cross-sectional analysis, investigators sought to explore the clinical profiles and onset of age-related differences in executive dysfunctions and behavioral changes among early drug-naive patients with PD. A total of 419 patients (218 women and 201 men) were recruited from the Department of Neurology, West China Hospital of Sichuan University, between January 2011 and October 2017. The mean patient age was 58.2 ± 12.3 years. The mean disease duration was 2.0 ± 1.5 years; mean age at PD onset was 56.2 ± 12.2 years. Participants were divided into early-onset PD and late-onset PD groups, based on the cutoff of age at onset of motor symptom at 45 years of age. Executive function was evaluated with use of the frontal assessment battery; behavioral changes were evaluated via use of the frontal behavioral inventory. Overall, executive dysfunction was identified in 27.0% of patients. In addition, 52.3% of patients demonstrated varying degrees of behavioral changes. On the frontal assessment battery, the most commonly reported domain was lexical fluency in 31.7% of participants. On the frontal behavioral inventory, the 3 most frequently affected domains were apathy (26.0%), irritability (24.3%), and inattention (20.8%). Patients in the early-onset PD group exhibited significantly higher mean total scores on the Montreal Cognitive Assessment than those in the late-onset PD group (P <.05). Both patients with early-onset PD and those with early-onset PD had lower mean total scores on the Montreal Cognitive Assessment compared with healthy control patients (P <.05). After adjusting for age at the time of testing and Unified PD Rating Scale part III, patients in the early-onset PD group exhibited significantly lower frequent damage in frontal assessment battery, especially similarities, motor series, and conflicting instructions, as well as higher frequent damage in lexical fluency, compared with those in the late-onset PD group. The investigators concluded that the results of their analysis should help to broaden our understanding of behavioral changes and executive dysfunctions among patients with PD. Li S, Ou R, Yuan X, et al. Executive dysfunctions and behavioral changes in early drug-naïve patients with Parkinson’s disease. J Affect Disord. 2019;243:525-530. 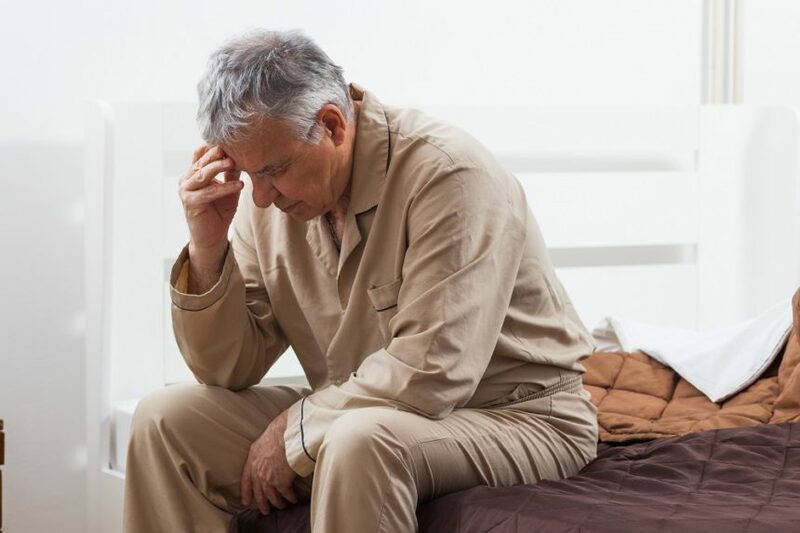 Improving Sleep Quality in Parkinson’s: Is Levodopa-Carbidopa Intestinal Gel Effective?